Quickly change artistic text strings. Also includes a numbering function. 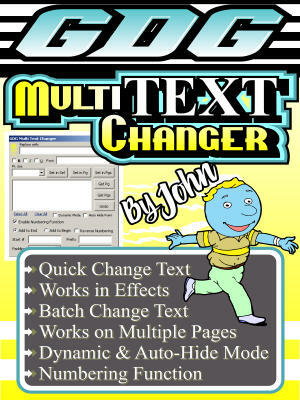 Works in text with effect and multiple text selections, and on multiple pages, all at once.